A classic Rhone blend of Grenache, Syrah and Mourvedre from Mclaren Vale made by this consistent producer. 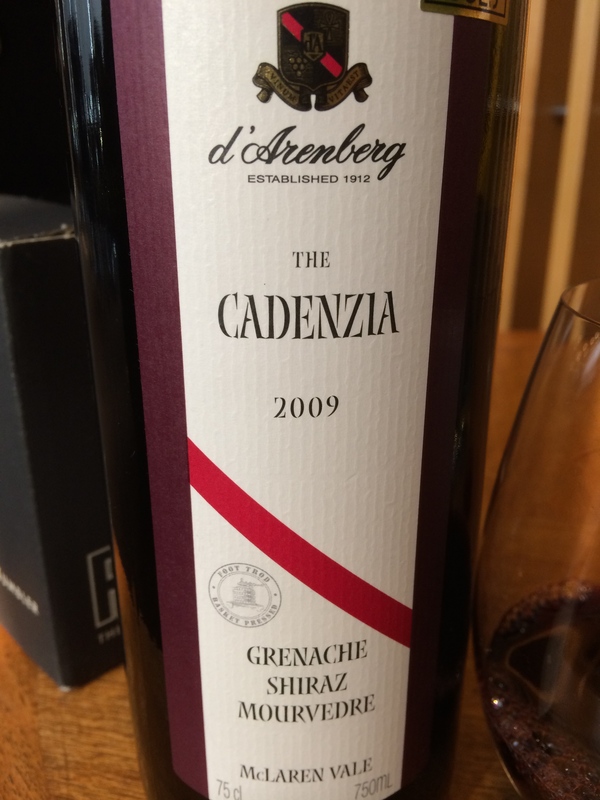 I have already written about several of D’Arenberg’s wines and am working my way through their offerings as quickly as I see them. The Mourvedre is a mere 5% of the blend with the Syrah and Grenache providing the backbone, the dark purple color and the linear tannins. Black fruit is evident on the nose and it pushes through onto the palate with some leather and anise. I got some dusty earth on the back end as well which was unexpected. The wine was bold and full bodied but lacked a certain complexity for me. At 4 years of age it is drinking well and will last another 4 at least. I cannot see much evolution but it will provide enjoyment when paired with charcuterie and perhaps a Beef stew. I paid $19 for this wine and am going with 88 points. WS and some other pro’s went as high as 91. 3 stars from me. Salut….